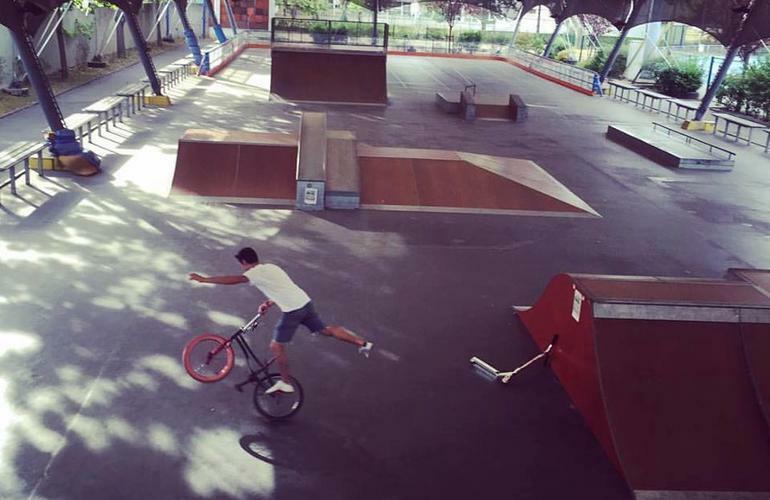 Take advantage of the school holidays and participate in a 5-day BMX course in the covered skatepark of EGP 18, supervised by passionate and qualified instructors! 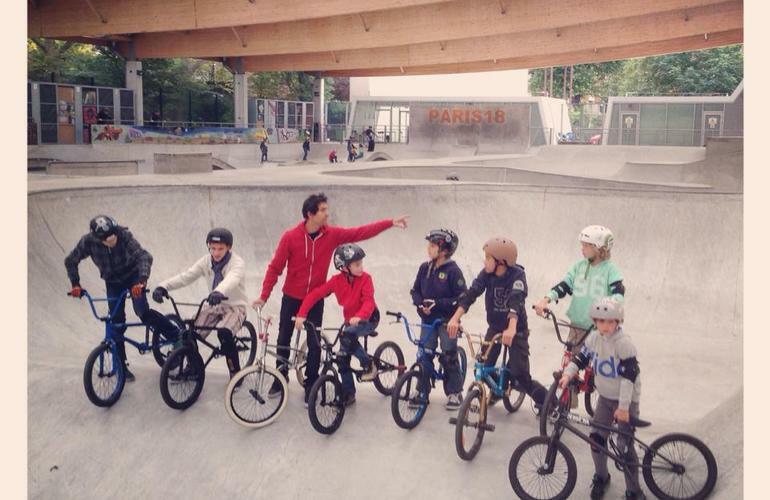 PBC (Paris BMX Club) is a Paris-based BMX school that offers courses during the Paris school holidays in the covered skatepark of EGP 18 in the 18th district, all framed by passionate and certified instructors. You will have a 5 half-day course from Monday to Friday from 1:30 pm to 5 pm. A half-day course is also available every afternoon from July 9th to July 27th, 2018! 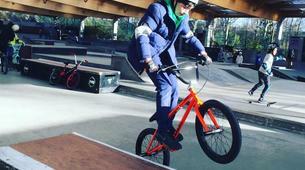 - Learn the basics of BMX, ride up and down a ramp, and work on your balance with flat figures (on the ground). - DIY to learn to repair a bike. PBC lends the bikes (16, 18 and 20 inches) as well as the protections (helmet, knee pads, and elbow guards). 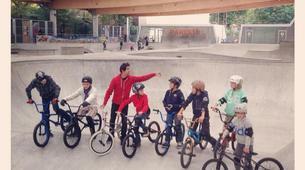 The goal of this association is to promote and develop BMX in France. 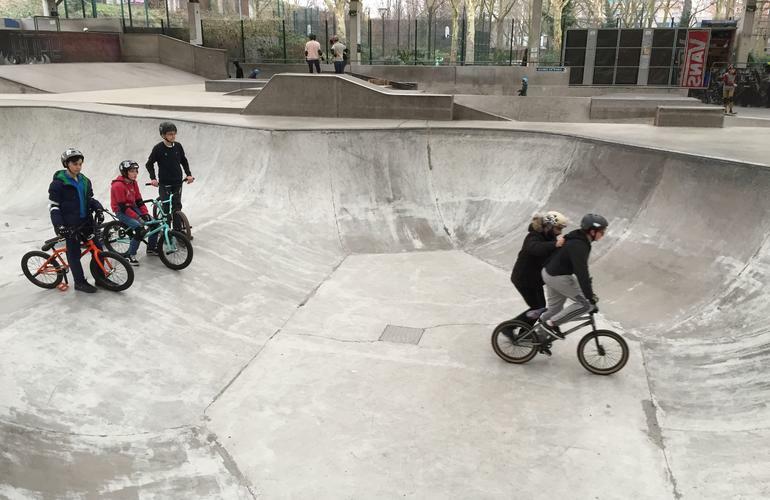 This skatepark is located in the 18th arrondissement, at Porte de la Chapelle, Impasse des Fillettes, 44 Rue Charles Hermite 75018 Paris. To get there, you can either take the metro 12 to Porte de la Chapelle station or take tram 3b to Colette Besson station. 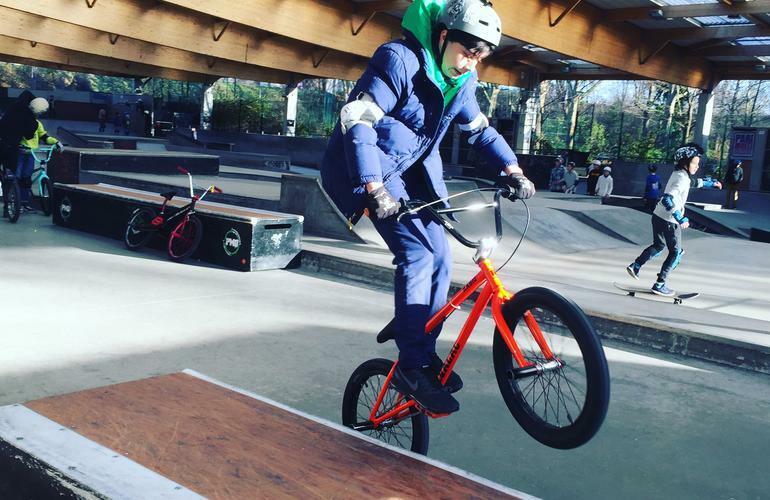 This course, which includes 5 half-days a week, is the perfect way to start BMX and learn all the basics of that urban activity. The lessons will take place every afternoon and the students will be divided into different groups, depending on their age and level. 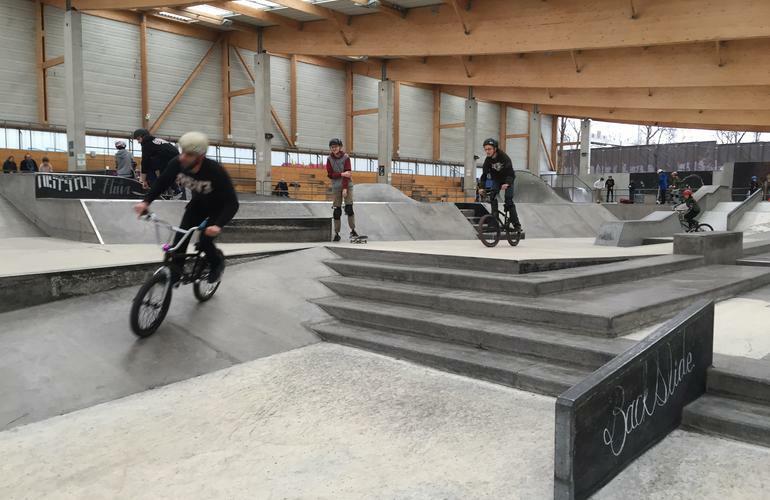 - 1.30pm: Opening of the skatepark. You will put on your equipment (protections, helmets, etc) once everybody’s there. - 3.00pm: This time, there is a switch in the teaching skills: you will play games and face some challenges. 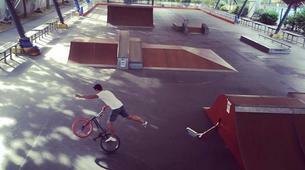 - 4.00pm: You will discover the skatepark and all its obstacles. 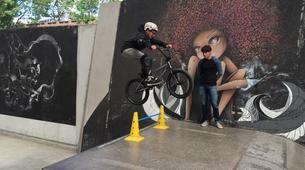 You will enjoy a free session with the instructors. 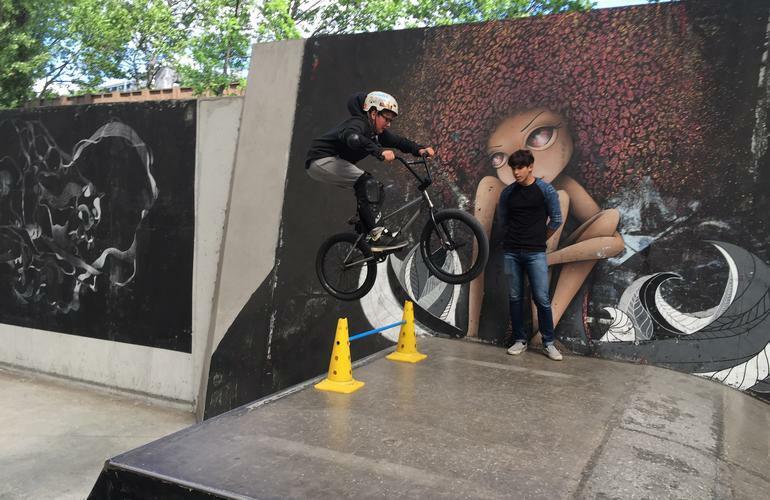 Wearing a helmet and protection is compulsory in the skateparks. - All the courses will be supervised by instructors holding a 1st Degree BEES (State Licence as Sports Educator). - Any lack of respect or non-compliance with the safety rules towards employees, volunteers, city representatives, but also to an outside person. Any infringement of the rules will lead to sanctions taken by the monitor and the leaders of the association. - Courses are not reimbursed, unless on an exceptional basis (request for proof). If not, you will be entitled to a credit note for any training course canceled. - Do not bring valuable items (laptop, game console, etc.). - Minors are forbidden to have energy drinks, tobacco, and alcohol. 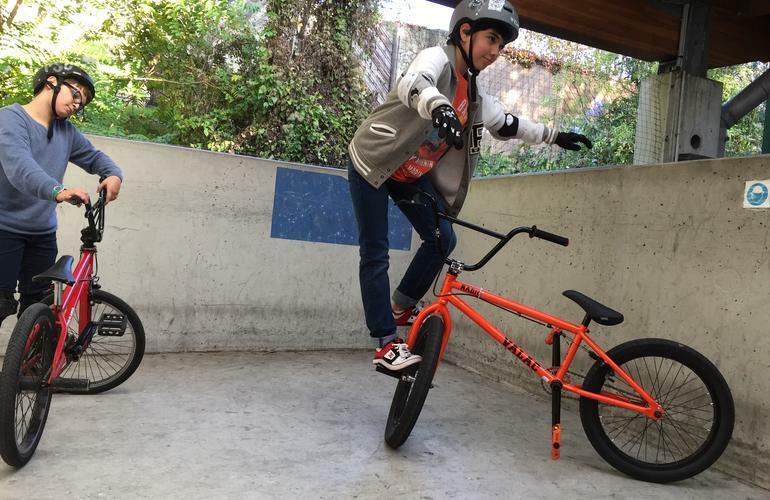 This course is the perfect way to start BMX and learn the basics of that urban activity. The lesson will take place from 13:30 to 17:00 and the students will be divided into different groups, depending on their age and level.